I know, I know – it’s already fall and you probably want to see some other stuff but you know what? I’m not ready to let summer go just yet and want to share some more summer pictures from this year’s summer before moving on. So the next couple of posts will still be about that. 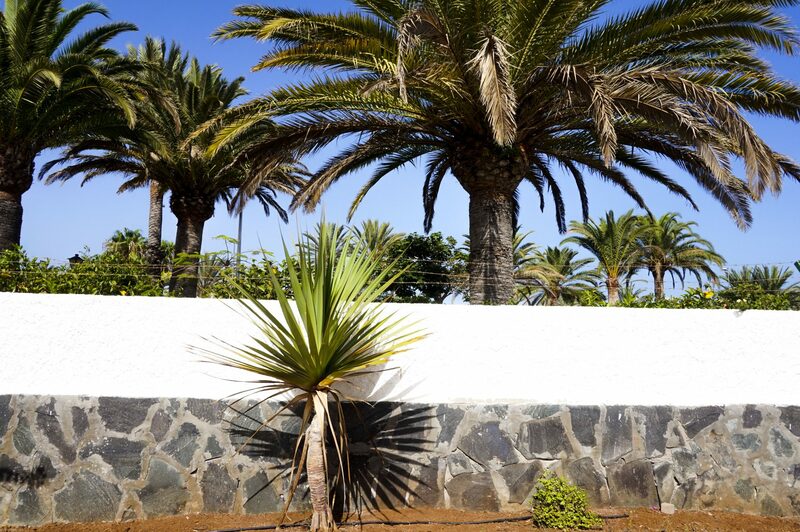 These pictures were taken on one of our first days in Playa del Ingles, Maspalomas (Gran Canaria). 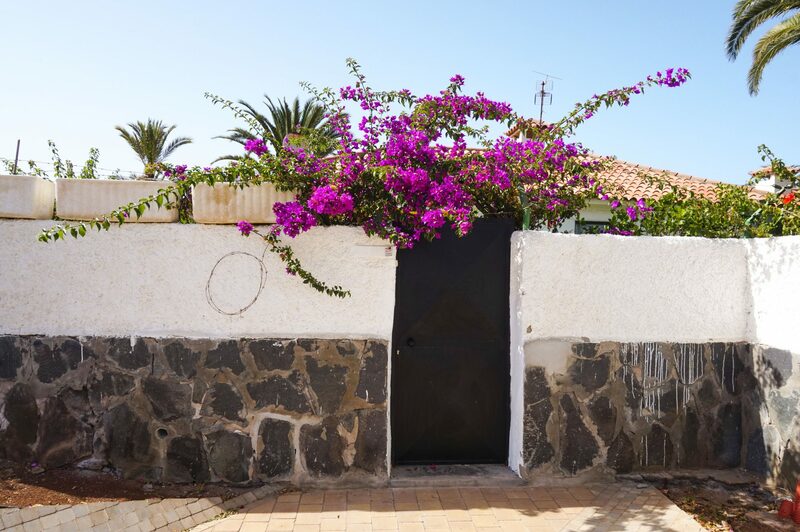 After just relaxing for a couple of days, we decided to go full on explorer-mode and rent bikes to find some more beautiful spots in Gran Canaria. 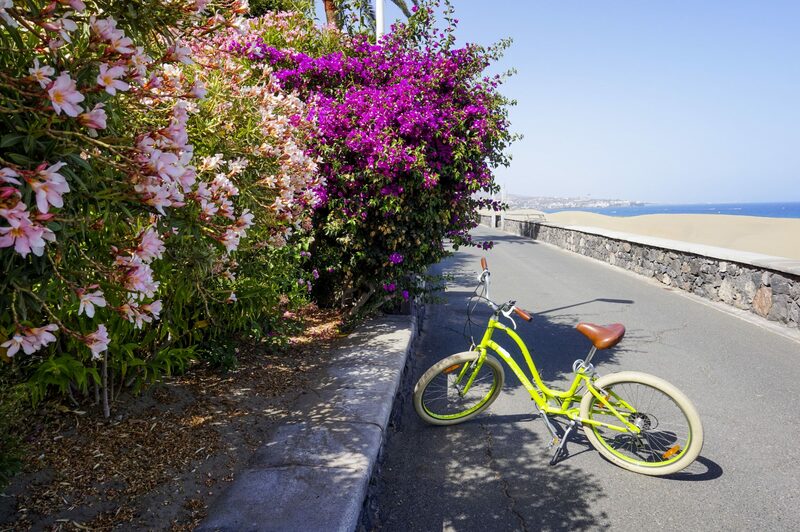 What better way than to rent bikes to get around in Gran Canaria on a 35-degree summer day, easy-peasy right? 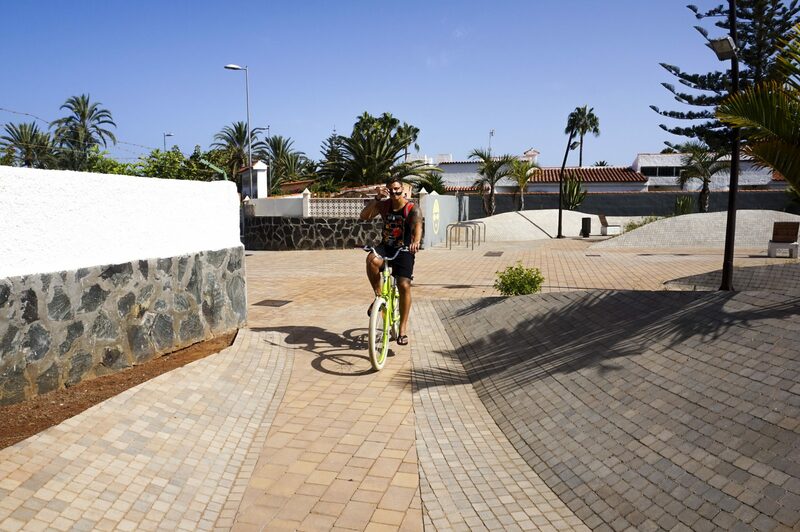 So we went ahead and tried to find bike rentals in Playa del Ingles and spotted these absolutely awesome Electra bikes. 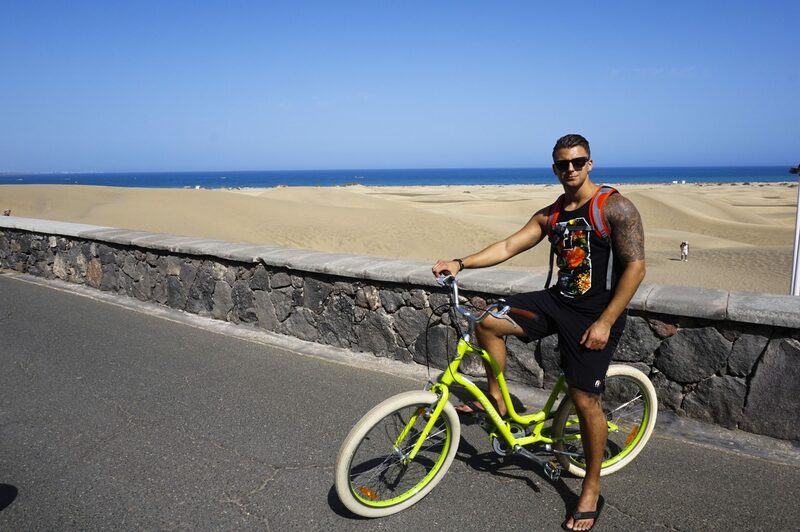 Not only did we feel super hipster on them, but they were actually also really nice to bike around on. It was an amazing day apart from how much we both sweated :’D I strongly recommend renting bikes and exploring the area you’re in when on vacation because you might pass spots that are breathtaking that you normally wouldn’t see AND you burn some calories on top of that, win-win. The best part about this whole thing was that we got them for FREE! Our hotel had a deal with this local store that offers a 1-day for free rent a bike service. Make sure to ask the employees at your hotel of all the deals they have to offer their customers, that way you might save yourself some money.